The following talk was given on July 2, in Istanbul, during the European Social Forum’s seminar on South Asia’s revolutions. Dear comrades and delegates, revolutionary greetings! I would like to take this opportunity to extend our revolutionary salutation on behalf of our party, the Unified Communist Party of Nepal (Maoist), to the organiser, the European Social Forum, who invited our party to attend this august programme in Istanbul, Turkey. In addition, I would like to extend our revolutionary greetings to the entire delegates participating in this seminar. I feel honoured to be here with all the delegates from around the world. But, more than that I would like to utilise this opportunity to share experiences that the working class all across the world has gathered through their valiant struggles against imperialism and its anti-people and neo-colonial policies like privatisation, liberalisation and globalisation, and as well the ruling classes subservient to it. Our party has assigned me to speak here on the revolution in South Asia as requested by the organisers. It is a vast course, a very difficult task to cover in a few minutes. However, I will try my best to be brief but certainly I will focus on the key points to help you reach to the basic understanding of the possibilities and challenges, the revolution in South Asia is confronting now. 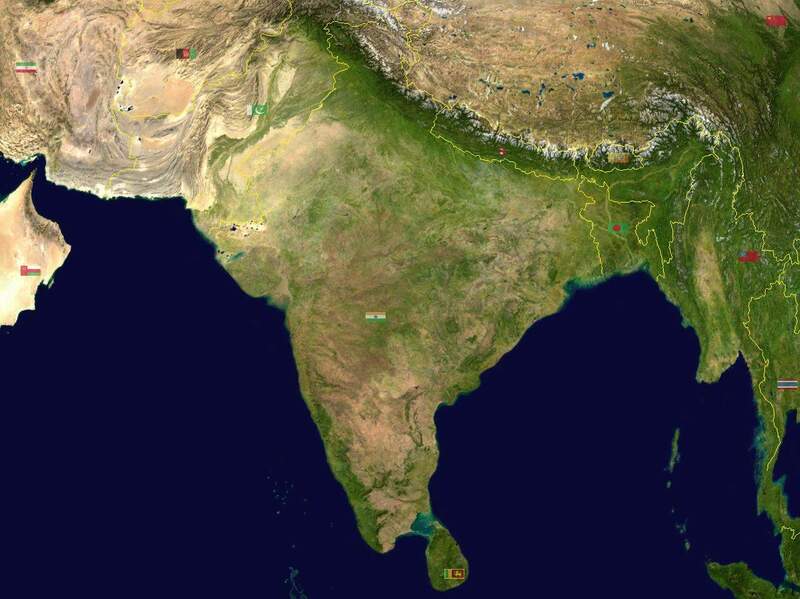 South Asia consists of seven countries namely Bangladesh, Bhutan, India, the Maldives, Nepal, Pakistan and Sri Lanka. More than one-fifth of the world’s population inhabit in this region. It is the most populous and densely populated geographical region in the world. Agriculture, which contributes to only 22% of the total GDP of the region, employs 60% of the labour force. Next to Sub-Saharan Africa, South Asia is the poorest region on the earth. As per the information provided by the World Bank, in 2008, more than 40% of the people dwelling in this region earn less than 1.39 dollars per head per day. On the other, the total wealth of the 25 richest Indian capitalists is equivalent to 192.3 billions of dollars. [Source: http://www.forbes.com]. It is equal to the total yearly earnings of more than 379 millions of the lowest poor people from this region, which is about 31.6% of the total population of India alone. Around 2.1 million of children die of malnutrition every year in this region as per the report published by UNICEF in 2008. This gives a short glimpse of class composition in the South Asian countries. Apart from sharp class contradictions in South Asian countries, there exist serious national contradictions all across the region. Everyone is aware of the severity of national contradiction in Sri Lanka. The entire Northeast and Kashmir of India have been the hotbeds of the national liberation movements since ‘independence’. Besides this, various oppressed nationalities in Nepal, Bhutan, Bangladesh and Pakistan have been struggling for their autonomy and right of self-determination. Social discriminations based on Hindu caste chauvinism are beyond belief in India and Nepal. In all of the South Asian countries, the political system, which is erected upon the base of feudalism but safeguarded by the superstructure of comprador and bureaucratic capitalism, has been the root cause to intensify the aforesaid contradictions; let alone their resolution. The masses dwelling in this region are simultaneously down weighed by two-fold enemies, feudalism and imperialism. In addition, the Indian expansionism on the one hand has been acting as a watchdog of the US imperialism in South Asia and on the other it has also been imposing its own political, economical and cultural hegemony upon the neighbouring countries. In the recent days, the Indian ruling classes are increasingly surrendering to US imperialism in the latter’s design to bring the entire region under its strategic grid to encircle and weaken China, which is a strong economic contender of the 21st century. “The various types of contradictions in the contemporary world are concentrated in the vast areas of Asia, Africa and Latin America; these are the most vulnerable areas under imperialist rule and the storm centres of world revolution dealing direct blows at imperialism”. This assertion of Mao still holds good. But, in the present situation, South Asia has emerged as a vulnerable area of imperialist rule and a living volcano of the New Democratic Revolution under the leadership of Marxist-Leninist-Maoist parties. In addition to semi-feudal exploitation and semi-colonial oppression, a broad section of the masses in this region have been victimised of internal national subjugation. The caste oppression upon Dalits, plundering of Adivasis and unbearable exploitation and repression upon religious minorities has been the real identity of Hindu chauvinist ruling classes, principally in India. A huge number of the working class people are thrown into destitution, which is ever escalating. In short, the sharp contradiction made up of feudalism plus imperialism versus the broad masses, extensive presence of the revolutionary, national liberation and democratic movements all across South Asian countries and a huge number of exploited and oppressed masses living in this region have heightened this revolutionary potential further. This region carries a long history of revolutionary class struggles. However, the first flame of the revolutionary class struggle in this region had ignited in 1967 from Naxalbari in Siliguri district, West Bengal, under the ideological guidance of Marxism-Leninism and Mao-Tsetung thought. It not only spread its influence to the extensive countryside of India but also became a harbinger for the neighbouring countries like Bangladesh, Sri Lanka and Nepal. Since then, the revolutionary class struggles have been, one after the other, going on with ups and downs, and twists and turns. 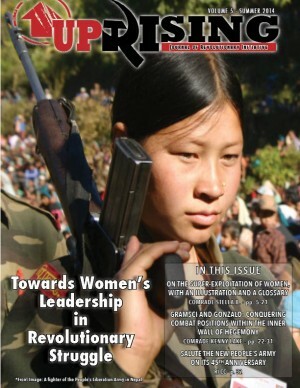 However, the Maoist revolution has made a major forward leap mainly after the initiation of the great people’s war in Nepal in February 13, 1996 and the merger of two major revolutionary streams, the People’s War and the Maoist Communist Centre, to form the Communist Party of India (Maoist), in September 2004. In fact, these two political events have turned this region into a living volcano of the proletarian revolution in the beginning of the 21st century. Subsequent to the aforesaid major political events on the part of revolutionaries, the Nepalese people’s revolution has now reached to the threshold of seizing central political power. The last May Day demonstration, in which half a million people poured into the streets of Kathmandu valley alone, and the indefinite political strike that followed has not only stroke at the heart of a handful of the comprador and bureaucratic bourgeoisie and the feudal elements in Nepal but also inflicted a forceful bow to their foreign masters as well. In order to protect their pawns from losing their power, the external forces, mainly the Indian expansionism, has now come in open to meddle in the internal affairs of Nepal. An alliance made up of Indian expansionism and its Nepalese puppets have stood against Nepalese people’s aspiration of democracy and national independence. Now, the democracy and national independence are inseparably interconnected in Nepal. It has placed the struggle for national independence, sovereignty and territorial integrity at the first place. New Democratic Revolution in India is making newer strides. It has engrossed a vast area in the eastern and the central part of India. The military offences carried out by the CPI (Maoist) fighters, particularly for the last few years, and militant mass struggles led by the Maoists and other left forces against the seizure of peasant’s land in Nandigram and Singur to provide for big multinational companies have led to sleepless nights for the Indian reactionary ruling classes. Massive people’s resistance in Lalgarh, West Bengal, against police atrocity remained a model never seen in the history of the Communist Movement of India. The development of people’s war in India is of course a matter of pride and source of inspiration for the revolutionaries not only in the South Asian sub-continent but also the entire working class people all over the world. Indian ruling classes, instead of addressing the problems the country and people are confronting have deployed a huge number of paramilitary forces against the poorest of the poor Indian people, the Adivasis. The anti-people act of “Operation Green Hunt” that the Indian expansionist ruling classes have initiated is based upon the reactionary design to attack and destroy the new revolutionary political power emerging through the people’s war. It is, in fact, aimed at clearing the way to rampant attacks on the people and plunder of natural resources by the comprador big bourgeoisie, national and international. But, in the contrary, it has created a ground for wider rallying of a broad section of the left, progressive, democrats and entire pro-people forces against the anti-people ruling classes of India. A good number of renowned intellectuals like Ms Arundhati Roy have come forward to stand by the poor Adivasis, oppose the paramilitary deployment in the Adivasi areas and expose the bankruptcy of the so-called biggest democracy of the world. People’s war in India has now become a central agenda of discussion, also among the middle class people. Even the big media houses run by comprador big bourgeoisie cannot keep silent over the Maoist activities in these days. 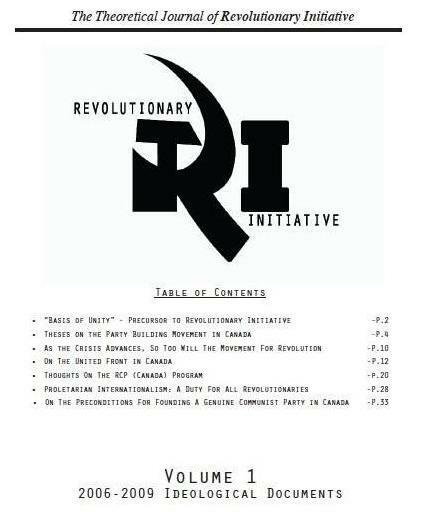 It is a big ideological and political achievement for the revolutionaries in India and abroad. Although there is a long history of armed struggle in Bangladesh, right at the moment, the communist revolutionaries have not been able to make a leap forward. Some Marxist-Leninist-Maoist parties have had some temporary setbacks with the capture of their senior leaders by the reactionary regime and some others are regrouping and preparing to develop people’s war. In spite of this, sharp class contradiction, national oppression, and revolutionary legacy of the past and as well the patriotic sentiment of the Bangladeshi people make this country a highly potential one for the development of new democratic revolution in Bangladesh. Along with this, formation of the Communist Party of Bhutan (MLM) in 2001 and a long existence of the Maoist Communist Party in Sri Lanka and their effort to reorganise it have had an additional potential for the communist movement in South Asia. 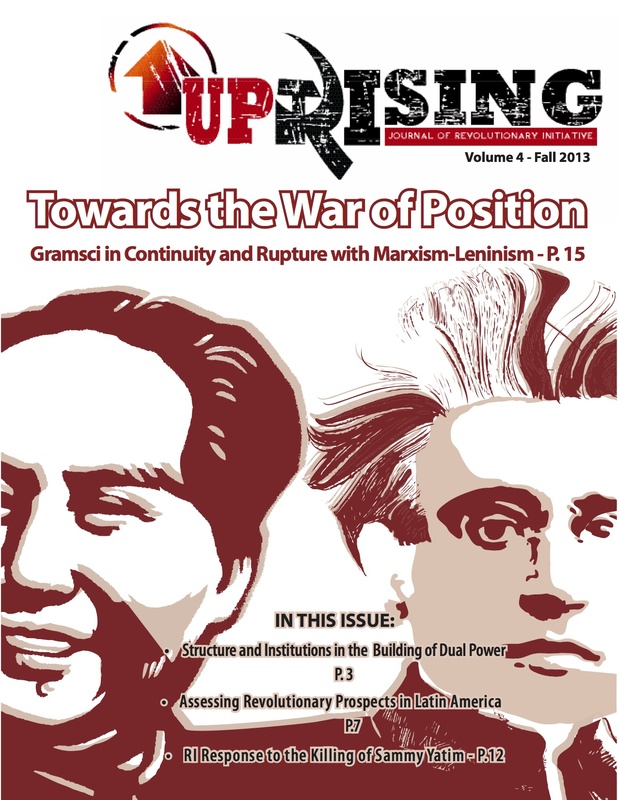 Although any Maoist party doesn’t not exist in Pakistan right at the moment but the ideological struggle that some of the revolutionaries have been waging to build up a revolutionary party can have a positive implication in the near future. In this way, the entire South Asia except the Maldives, where no communist party is heard about yet, is a strong potential base for the world communist movement. In other words, South Asia is a living volcano of proletarian revolution in the beginning of the 21st century. However, it is a fact that the more the development of proletarian revolution the more formidable is the challenge for the reactionaries. Indian expansionism, backed by the US imperialism, has been standing as a common enemy since long not only against the Indian masses but those of the entire region as well. In order to contain the new democratic revolutions in this region the reactionaries the world over have rallied together against the people more strongly than before. As a result, South Asia is becoming a front of collision between two fronts: one formed of the proletariat and their class allies national and international and other alliance formed of the imperialists and their lackeys from the individual countries. A new world in South Asia is now gestating in the womb of this contradiction. In the present era of imperialism, the proletarian revolution does not remain a phenomenon merely of a single country. It is affected by many interconnected factors. The victory of any communist revolution is linked with the objective condition of the world and subjective strength of the international proletariat. Lets us have a short look on these two factors in the world level. Objectively, the world situation is not as unfavourable for revolution as it was during 80s and 90s. Rather it is becoming favourable for the proletariat to make revolutions. It is not that a revolutionary crisis has already emerged all across the world, but it is an objective reality that the imperialist system has fallen in more acute problems than it had before. The economic crisis that had emerged from US, the imperialist ringleader, has now engulfed the whole world although in varying dimensions. In spite of the European Union’s effort to resolve the economic crisis in Greece, their every attempt has turned futile, leading to further crisis. It is just an example. Though no rival to the US imperialism has emerged yet in terms of military strength but its contradiction with other military and economic super powers is on the rise in the world. A once-unipolar world has now changed into a multi-polar one. 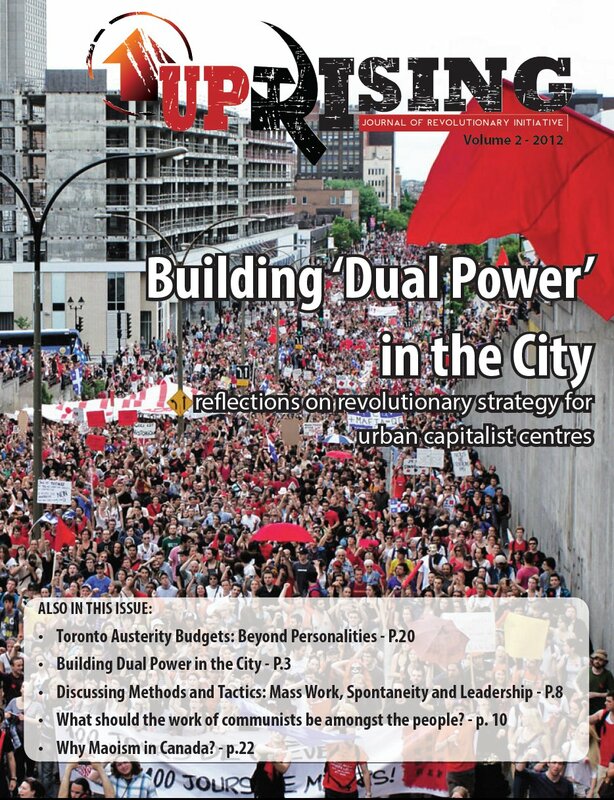 The contradiction between capital and labour is intensifying all across the world. And also the contradiction between imperialism and the entire oppressed nations and the people, which is the principal contradiction in the world at present, is also sharpening. With the intensification of all the basic contradictions, including the principal one, the objective situation is becoming more favourable to the proletariat, than to the imperialist, to advance revolutionary class struggles all across the world. 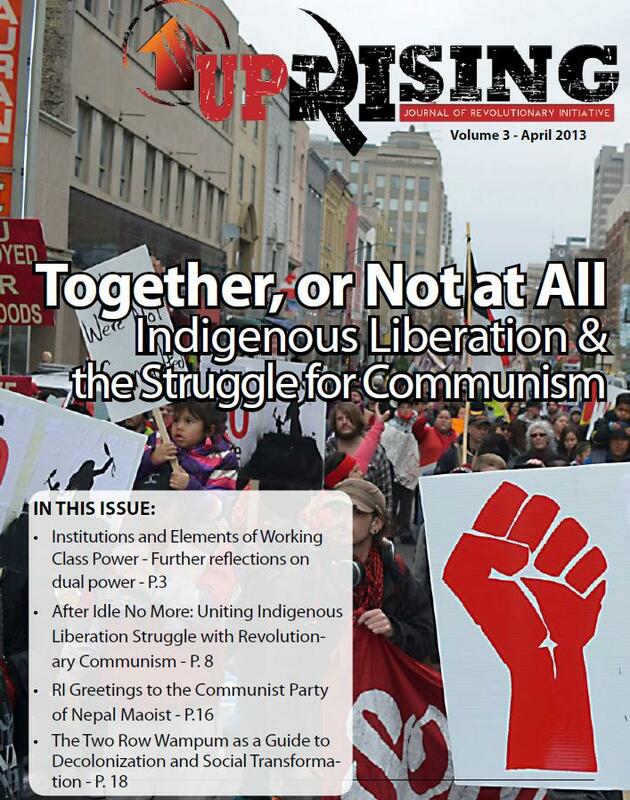 In the contrary, the international communist movement is very weak in terms of its subjective strength. However, this too is developing positively. The advance made by revolutionary class struggles in various countries, mainly in the South Asia, is an undeniable example. Apart from this, people’s anger that spilled into the streets against privatisation, liberalisation and globalisation for the last few years shows the potentiality of revolution all across the world. What does the proletariat seriously lack at present is to correctly grasp the universality of Marxism-Leninism-Maoism, its resolve to fight right revisionism, the main danger in the contemporary communist movement, and build up communist parties based on this ideology and thereby apply it creatively in agreement with the particularity of the given country. This is the ideological and political challenge that the proletariat needs to consciously confront today and emerge victorious in it to fill the gap that exists between the favourably developing objective world situation and still very weak subjective strength. We, the proletariat, are an internationalist class. We the revolutionaries in South Asia and the comrades from other part of the world have reciprocal duties to develop proletarian revolution all across the world. The development of people’s revolution in South Asia has been instrumental to equip you with valuable revolutionary assets that ideologically inspire you to advance the communist movement in your respective countries and your firm support to and solidarity with us will be instrumental to make the revolution in South Asia victorious. This seminar, in fact, has helped accelerate this process. Let all of us unequivocally thank the organiser to make it happen. The New Democratic Revolution in Nepal is at such a formidable crossroads where the revolutionaries and the entire patriotic, republican, progressive, secular and left forces on the one hand and imperialism, expansionism and their domestic puppets on the other are fighting at close to emerge victorious in the ongoing political tussle. In the same manner, the revolution in India also is facing a grave challenge now. The reactionary Indian state has already deployed paramilitary forces against its own people in the pretext of fighting Maoists and is preparing to reinforce them with its strong military force further. This is leading to a fierce fighting between revolutionary and counterrevolutionary forces in India. The victory of revolution in South Asia will have a far-reaching implication and become a harbinger to spread the flames of revolution all across the world. On the other, its defeat will result in a complete demoralisation of the people not only of this region but those all across the globe. In this situation, a strong solidarity to the revolution in South Asia is the need of the day. Let all of us strive hard to build up a strong solidarity to help make our class victorious from South Asia and open the door of the world proletarian revolution in the beginning of the 21st century. Thank you.